Providing enterprises with a consistent user experience for their applications and workloads, as they switch between public cloud, private cloud and on-premise environments, is name of the game when it comes to hybrid cloud. It is a concept, for example, Microsoft is tackling with its Azure stack offering, and its aim to provide end users with access to access public cloud-like resources and agility within their on-premise datacentres. It is also an area public cloud giant Amazon Web Services is addressing through its technology tie-up with VMware. Drawing on the latter party’s long history of helping enterprises make the most of their on-premise resources through virtualisation, the partnership aims to make it easier for enterprises to move their legacy workloads and applications to the Amazon public cloud. 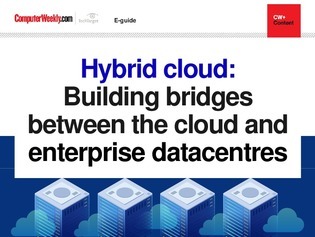 In this e-guide, we take a closer look at how the major cloud providers are making it possible for their users to shift their datacentre-based applications and workloads to the cloud, as enterprise demand for hybrid deployments continues to soar.